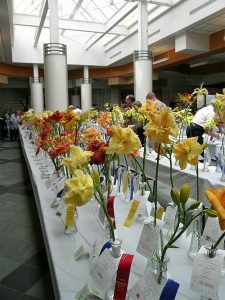 A show where daylilies are displayed and often judged. Most exhibitions are open to the public (free admission) after the judging has taken place. The flowers can be displayed on cut scapes (stems), or the individual blooms can be displayed ‘off scape’ in separate divisions. 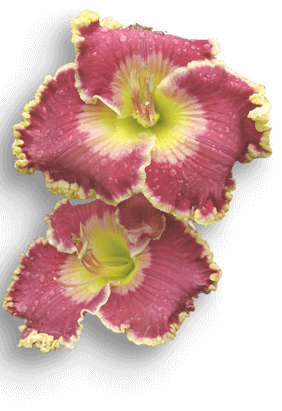 In ‘official’ AHS sanctioned shows there are well defined show sections based on flower size and flower forms and whether those scapes being displayed are of registered cultivars or seedlings (not yet registered daylily plants). In AHS exhibitions, judging is done by certified AHS Exhibition Judges. Exhibitions are generally sponsored by local daylily clubs.